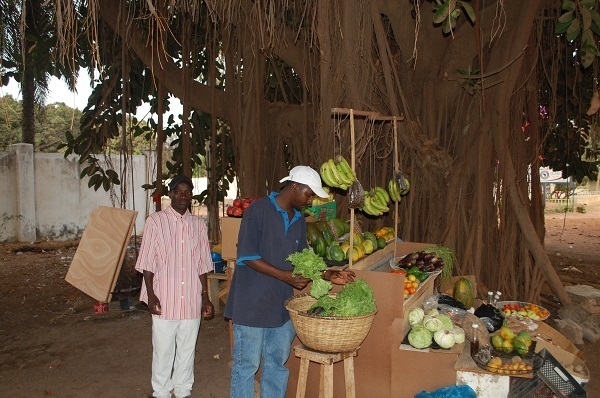 Rama’s fruit & vegetables stall. 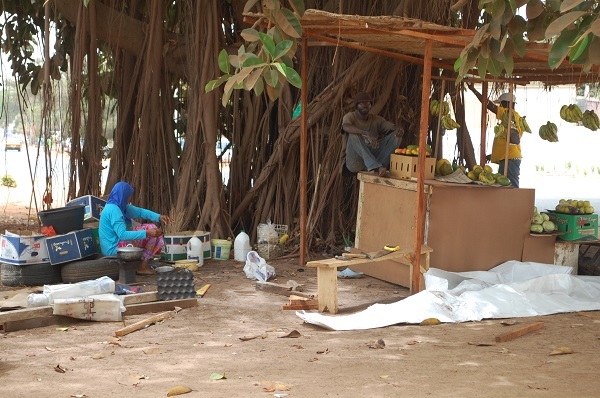 Alfa and Rama (Guinee Konakry) came to the Gambia 2 years ago trying to make an honest living by selling fruit and vegetables in their fruit stall. Soon, the rainy season will be there, and they don’t have the means to build a roof for their stall. Alfa and Rama work from morning till late hours every day and rent a small room nearby. Their income is hardly enough to cover their rent. 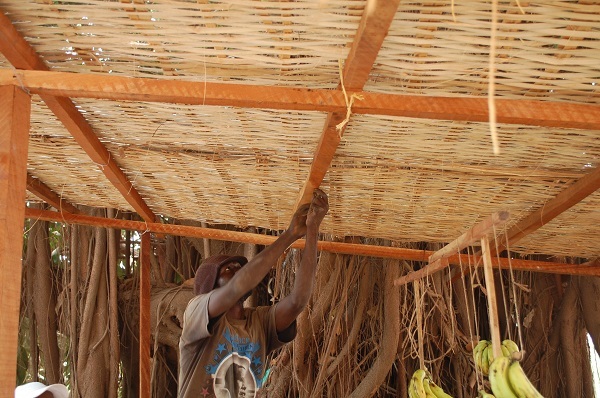 Therefore TAPs is helping Alfa and Rama to keep their business running during the wet season.